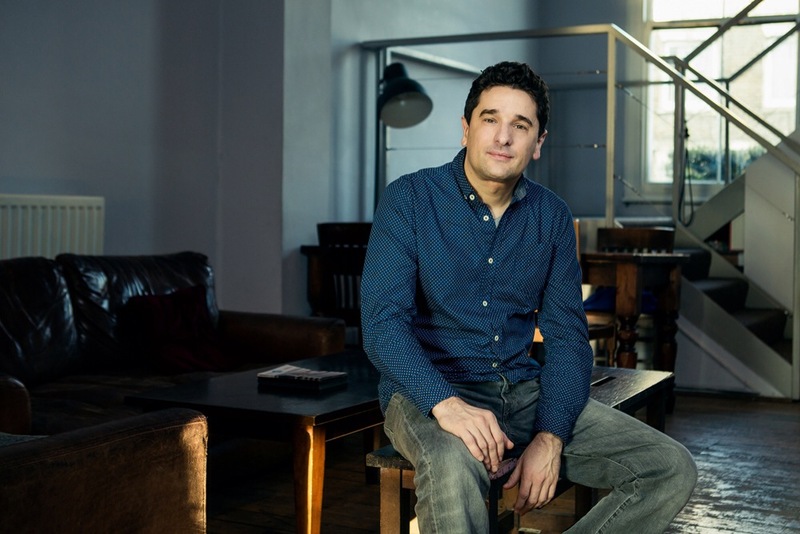 After an incredible ten year tenure, Theatre503’s Artistic Director Paul Robinson is moving on. Theatre503 has been my home for the last ten years and I have enjoyed every minute of it thanks to a superb team and excellent Board. We’ve faced down huge challenges and I have been lucky enough to see the burgeoning talent of a generation of artists come through the doors. I have no doubt that under new leadership it will continue to go from strength to strength. Highlights for me will include working with the brilliant Tim Roseman, my former Joint AD, launching the Theatre503 Playwriting Award, working with exceptional artistic talents and directing plays including Chris Urch’s Land of Our Fathers and Bea Robert’s And Then Come the Nightjars in regional and national co-productions. I am delighted to be seeing the former come to Found111 to round off its recent twelve-week tour. Theatre503, known as a powerhouse of new writing, continues to stage ground-breaking plays from the most talented emerging writers. It has previously launched the careers of playwrights Dennis Kelly (Matilda The Musical, Utopia), Katori Hall (The Mountaintop), Tom Morton-Smith (Oppenheimer) and Anna Ziegler (Photograph 51), as well as being the smallest theatre to win an Olivier Award for Best New Play. Paul Robinson has led Theatre503 for the last decade with skill, panache and immense dedication. His commitment to great, impassioned writing and his own assured touch as a director have led Theatre503 to burst at the seams with ingenuity and ambition, and to be the recipients of countless nominations and awards as well as a forceful presence in the West End, in Edinburgh and across the UK. He has ensured emerging writers are nurtured by sustained artistic and financial investment. Paul’s dedication and vision will be sorely missed. We are thrilled for him as he takes up this terrific opportunity at The Stephen Joseph Theatre. Paul takes up the role of Artistic Director of The Stephen Joseph Theatre in Scarborough this June where previous Artistic Directors have included Stephen Joseph, Chris Monks and Sir Alan Ayckbourn. Paul is also currently directing My Mother Said I Never Should by Charlotte Keatley, starring Maureen Lipman, which opens at St. James Theatre in April 2016. Presented by Tiny Fires Ltd (an independent production company set up by Paul and producer Tara Finney), this is the first London revival of the play in over 25 years. For more information about Theatre503, visit http://www.theatre503.com or follow @theatre503. 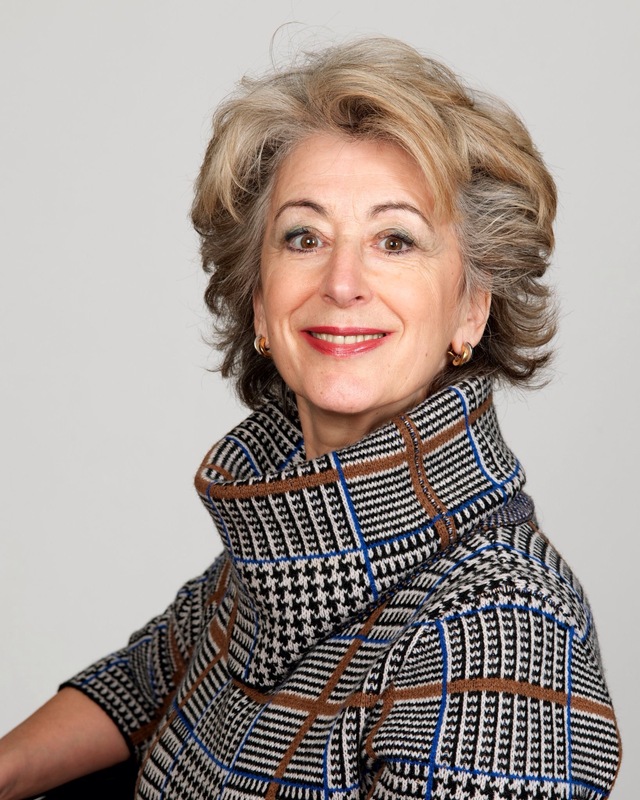 National treasure Maureen Lipman (Oklahoma, Outside Edge, See How They Run) and Olivier- award winning Katie Brayben (Beautiful – The Carole King Musical, King Charles III, American Psycho) will lead the cast in Charlotte Keatley’s My Mother Said I Never Should. They will be joined by Caroline Faber (The Taming of the Shrew, The Heiress, Hangover Square) and Serena Manteghi (The Railway Children). Presented by Tiny Fires Ltd. this is the first London revival of the play in over 25 years. I am delighted to be working with Maureen for the first time. I am, of course, well-aware of her huge body of work and have been thrilled by her performances on various occasions. We have really enjoyed talking about the play and role and I’m so excited by her approach to it. Be ready for a highly original take on the part of Doris with humour, humanity and huge depth. Twelfth Night: Scena Mundi Mix High Fashion And Shakespeare, As Only They Can This Spring! Shakespeare’s much-loved comedy Twelfth Night is being given a fashion makeover at Scena Mundi this Spring. This three-week run will be a bold and finely crafted production that takes the Elizabethan style to a church catwalk. Scena Mundi’s production focuses on the bitter-sweet mood of the comedy to enhance all its diverse aspects. Combining very precise work on text with highly elaborate costumes and clear story-telling, their Twelfth Night is an aesthetic rendition of a multi-facetted play about love, unruliness and self-discovery. I love which appearances are all important, yet depth of feeling is what matters in the end. I hope audiences will accept the challenge to come and see their own image in this shimmering mirror. The French Protestant church is a hidden gem in the heart of Soho that offers a fresh challenge for Scena Mundi. Embracing the warm and imposing building the company will work with it to produce a show that is all the more powerful for being in this unusual setting. Winner of the 2015 Adrian Pagan award for playwriting, Kate Lock’s wise and witty new drama celebrates cross-generational relationships and lays bare the extraordinary virtue of self- determination. This uncompromising duologue is a tender portrait of how humanitarian values are blind. Hilda is blind and lives alone. Camelia is a teenage offender looking for her next mark. Russian Dolls examines the singularly fierce friendship that forms between these women as they search for shared purpose in a broken Britain. In juxtaposing their dramatically different lives, the play offers a fascinating insight into the changing roles of women, the trappings of age and the worries of youth. I met the real Hilda at a pensioner’s day centre. She was collecting windfalls to take home and make herself an apple crumble, completely blind. She lived completely independently. Her grit, humour and sense of self-worth were so inspiring, I felt compelled to write about her. 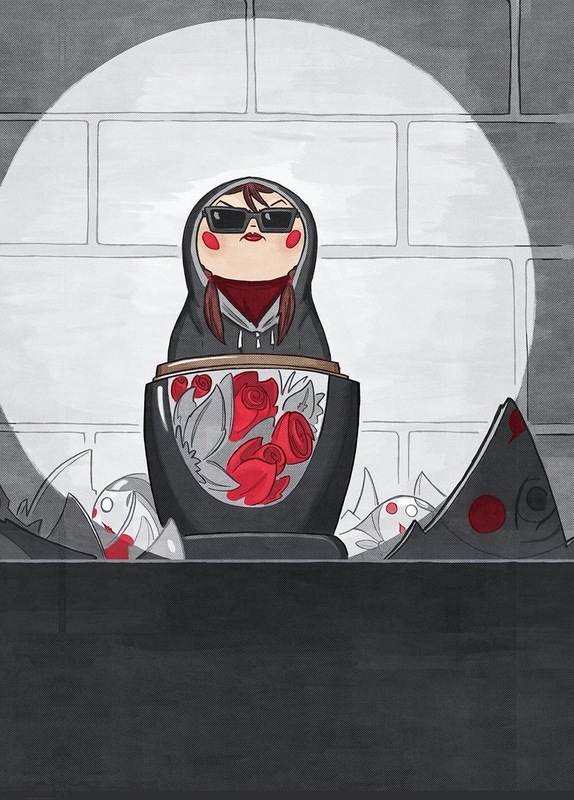 Russian Dolls is her story. The 2015 Adrian Pagan award was open to playwrights with one professionally produced play to date, to acknowledge the need for continued support of promising dramatists beyond their first production. The judging panel (Artistic Director of the King’s Head Theatre, Adam Spreadbury- Maher; Olivier-nominated writer and performer, Phoebe Waller-Bridge; playwright and dramaturg, Paul Sirett; theatre director and NT connections festival director, Audrey Sheffield; playwright, Tess Berry-Hart) selected Russian Dolls from over 300 entries. The 2016 award is now accepting submissions with this year’s judging panel to be announced in the Spring. The Also Recognised Awards also, uniquely, put the spotlight on the creativity of digital marketing and advertising disciplines in theatre with recognition for Best Show Poster, Best Show Trailer and Best Twitter Engagement. By popular demand, a new category has been added in 2016 for Best Musical Cabaret. This field is dominated by two relatively new London venues that are fast becoming major destinations for cabaret lovers: the Studio at The St. James Theatre and Crazy Coqs at Brasserie Zedel. Nominations for the Also Recognised Awards have been drawn up by Shenton and Paddock, with input from Andrew Keates and Mike Dixon (the industry lobbyists who have been the driving force behind establishing creative parity for Musical Direction) and other members of the My Theatre Mates collective of independent theatre bloggers and commentators. Voting for the winners continues until Friday 25th March 2016. Results will be announced in early April. MyTheatreMates invites suggestions for other new award fields not already covered elsewhere. Recommendations with sufficient merit and industry backing will be introduced in future years. Full nominations are on the MyTheatreMates website. Vote Now! Brecht’s thrilling and revolutionary play follows a young girl who makes the biggest decision of her life. Set against the back drop of war and mutiny, Grusha seeks refuge and asylum. Her crime: saving the son of the fleeing establishment. Her reward: The Chalk Circle. This inventive ensemble production draws on Brecht’s pioneering techniques and thrilling text, set to an original score. 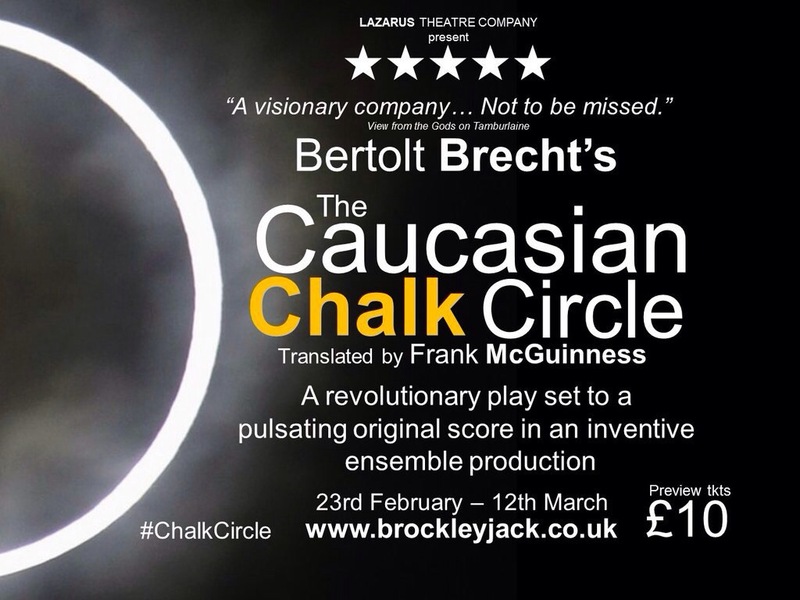 Launching their 2016 season, The Caucasian Chalk Circle marks Lazarus Theatre’s return to The Jack Studio after their sell out productions of The Revenger’s Tragedy and The Merchant of Venice. When I was four years old, my Dad was told our surname might be stopping him from getting a job. So we changed it. It worked. Worklight Theatre’s award-winning show Labels draws on writer and performer Joe Sellman- Leava’s experiences of being mixed heritage to explore broader issues of racism, immigration and displacement. Labels examines how we use words, the line between curiosity and fear, and the rise of anti-immigration rhetoric. Despite being born in Gloucestershire, Sellman-Leava grew up constantly being asked where he was really from. Cheltenham! Here, he calls for a fairer, more open-minded society, using his own stories to open a wider discussion about the way we talk about, think about and treat our fellow human beings. We are really thrilled that Labels is now travelling to so many parts of the UK (and beyond!) in 2016. Although the story is incredibly personal to me, we always wanted itto connect with as many people as possible. Many people have experiences of being labelled for different reasons. It’s this variety of adversity that Labels talks about. 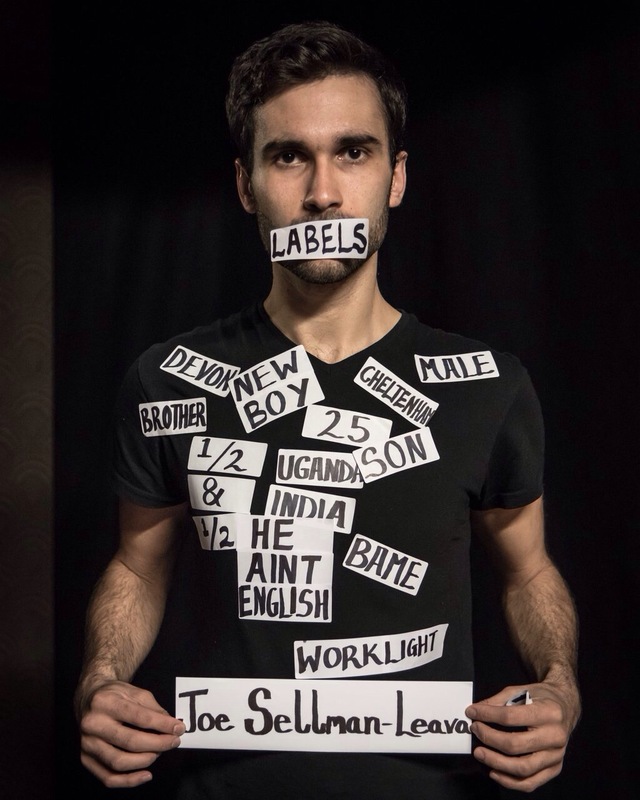 Labels won a Scotsman Fringe First Award and the Holden Street Theatre Award at Edinburgh Fringe 2015. It was also shortlisted for the Amnesty International’s Freedom of Expression Award. 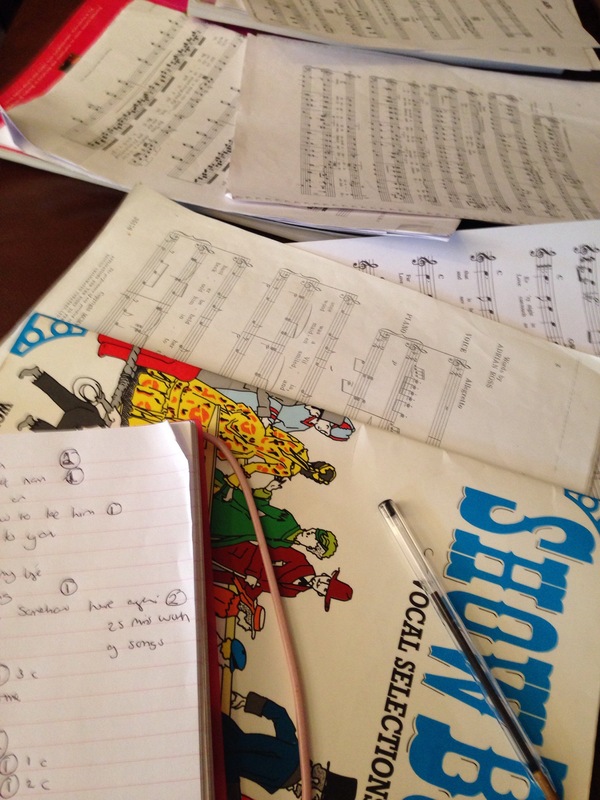 I was inspired to write this article after performing at a cabaret evening recently, in which the organiser had heard me performing at another concert at Christmas time and asked me to perform at their Valentines themed cabaret dinner. Yes, I know this sounds a pretty run of the mill scenario, but it symbolises how as much as some want to dispute it, fate plays a substantial role in what we do as creatives. Hard work and determination are the root to all success, this is paramount but ‘being in the right place at the right time’ definitely is the second biggest factor. You can be singing at a friends wedding, or standing in for an actor in a rehearsed reading of a play and boom, someone hears you and the rest is history. Embrace fate it’s what keeps life so interesting as a creative, there’s not much you can do about it anyway! After a successful run at the Edinburgh Fringe 2015, Izzy Tennyson’s Brute comes to Soho Theatre. 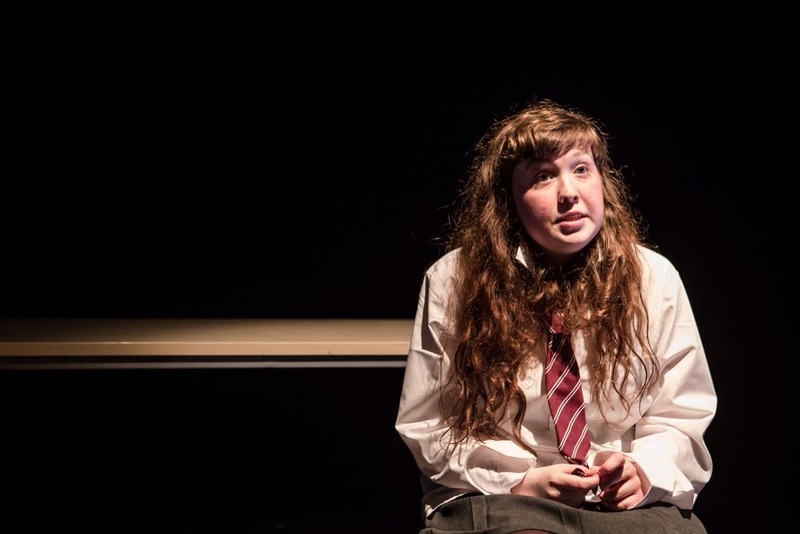 Brute (winner of the 2015 IdeasTap Underbelly Award) is an exciting piece of new writing based on the true story of a rather twisted, horrible schoolgirl. Tennyson’s truthful writing is fearless, laced with a deliciously scabrous humour. Being 14 is an awful age. You’re not a very nice person at 14. No one knows this better than new girl Poppy who has just started at an all-girls’ state school. There are rules with no logic, sadistic jokes that aren’t actually funny and the most sinister games played out of boredom. And, you’d better not be fat or clever or you’re fucked. Tennyson is a master at making her audience snort with laughter one second only to gasp in horror the next, as the terrible implications of what she’s just said sink in. She’s created a compulsively watchable, strangely relatable, and profoundly disturbed character, who leaves you torn between the desire to give her a stern telling off and to hug her and save her from the world (The Scotsman). Set in a girls’ school in a provincial English town far away from cosmopolitan and cultural influences, Brute explores memories of the protagonist’s intensely passionate female friendships as they escalate into violence. Written as a dynamic monologue, the piece is based on girls from Tennyson’s peer group. The themes in Brute explore the economic climate, bullying and female violence along with the complexity of adolescent female friendships. Brute also touches on the sensitive topics of adolescent hysteria and girls’ relationships with authority, especially how female ‘problem cases’ are handled at school.Brute is part of the Soho Rising Season this Spring. Tennyson, part of Soho Theatre’s ‘Soho Young Company’ developed Brute during the Writers’ Lab Course. Soho Education Producer Jules Haworth has worked as Dramaturg on Brute from its inception.